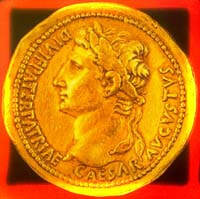 L’During the Roman empire, Italy was leaned on two types of city: the Municipium and the Colony. The Municipium was a free city, that afterwards was won by Rome; it kept a sufficient autonomy and its inhabitants were compared in everything or partly to the Romans. The Colony was a direct derivation of Rome, governed by Roman citizens. Colony and Municipium came unifying in everything, especially civil code and city life, but the juridical plan. For this reason we speak about municipal arrangements in Pompeii even though the city was not a Municipium but a Colony, disciplined by a statute on the public and administrative life. The law was promulgated by a Magistrate entrusted by the Senate of Rome and it was engraved on bronze tablets exposed to the public. The inhabitants of the whole territory formed the populus that had the assignment to elect the town magistrates. An interesting relief had the budget of the Municipium: the ordinary entrances originated from incomes of town good (fields, buildings, pastures, woods), of services (water, public baths), of roads and bridges’ tolls, of duties. The extraordinary entrances were constituted by donations and legacies. But if the entrances were modest, they were modest the expenses that concerned the maintenance of public buildings, aqueducts, etc, all the same. The Council (Ordo Decurionum) was the supreme body of the city, it held political and administrative power and the function of control on all the other sectors of public life. It was composed by a number, established by the statute, generally oscillating, in the varied cities, between 80 and 100 members and was presided by two duoviri. The members of the Council (decurioni) continued in office all life long and enjoyed lots of privileges and honours, for example wearing a toga adorned with a purple band, or the right to occupy the best places in the shows and to sit on the bisellium. After the duoviri, there were the ædiles (an inferior degree), that is two duoviri with building power: they had to provide for the control of city life, of the streets, of the public buildings, of the market, of the weights and they organised shows and games public; they had some collaborators that assisted them in their functions. One of the most important office was the priesthood. Very often it was the first step to enter to the public offices and to the real magistracy. In fact, in Pompeii there has not been a priest that has not become magistrate. 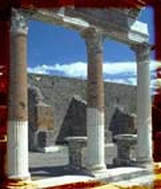 The official centre of the Council was the Curia, situated in the Forum, but the sessions can also be taken in other places, summoned by the supreme magistrates that presided it. For their validity they owed being 2/3 of the members with the right to vote; this could be open or, rarely, secret.